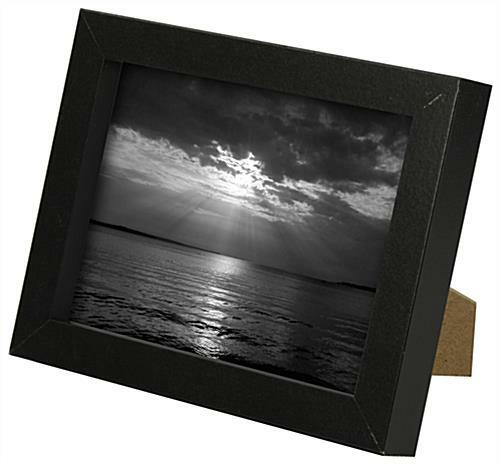 These wooden frames for photos have an eye-catching black finish and feature 1" thick black framing that creates a distinctive high-visibility shadow box effect. 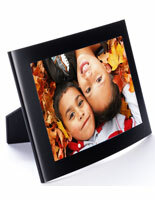 The simple, modern print holders are an elegant alternative to digital albums and include both an easel backer for tabletop display and a glass front lens to protect photographs. 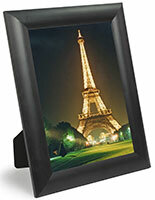 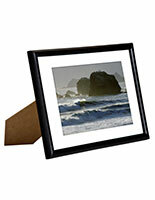 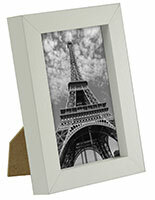 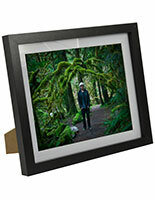 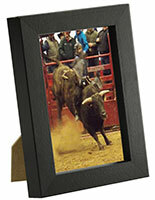 Black finish frames for photos are a very popular choice for use in homes, restaurants, stores, businesses, and offices. 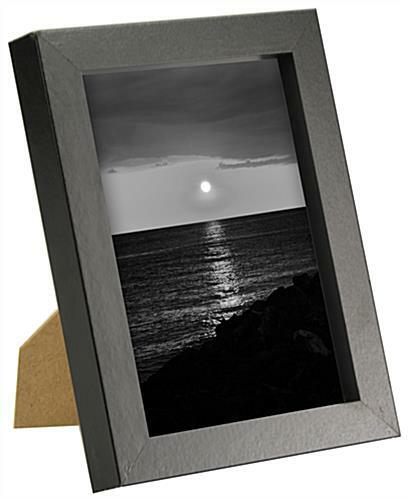 Easel back countertop displays also make great POS accessories for showcasing sales information, advertisments or general information. 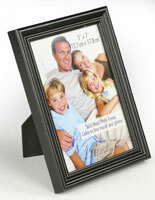 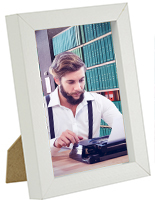 High-visibility framing is a perfect way to keep treasured photographs or important messaging visible at all times.